Defaulting on an existing loan can significantly damage your FICO score and increase interest rates as well. In the worst case scenario, the lender would attempt to recover the lent amount by foreclosing your property, seizing bank accounts or other assets. When it comes to a business loan, defaulting doesn’t always mean the end of the business. Ask your lender for a new payment plan that may suit you. Or else, you can appoint an attorney to keep your assets from being seized and get the loan status back to clear. Here are some steps that you may follow after defaulting on a business loan. You must not apply for a business loan unless you’re confident about making timely payment to clear it. However, emergencies may take place anytime; revenue may drop owing to market fluctuation or some global cues and as you know, default rate always follows the economic trend. Moreover, unpredictable expenses often take priority for paying off loans—for instance, a car breakdown. Consider your account to identify the reason why you failed to make the loan payment. Once you identify the cause for defaulting, you can take some important steps to rectify it. 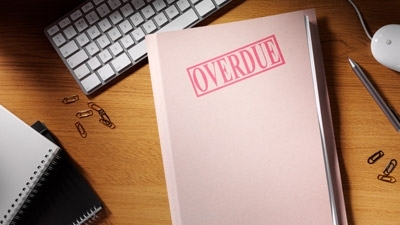 An emergency that caused you to skip making payments towards your loan—but didn’t leave any negative impact on your business from a long-term perspective. In such a crisis, you must create an emergency fund to make monthly loan payments. If you think that your business may not continue with the present loan repayment plan in the long term, check your personal finances to decide on what amount you can afford. If you’re unable to manage longer payments but presently have access to quick cash, you may think about loan settlement. With a loan settlement, you need to pay your lender a lump sum that is somewhere between 20–70 percent less than the actual payable. Once the loan is settled, the lender would close the loan account. Remember that loan settlement may have negative impacts on your credit profile. If you think that you can manage to pay a reduced amount of money per month, you may ask your bank to lower the amount of each monthly payment installment and also to extend the period of payment. It would put less strain on your monthly finances. However, with such a payment option, the bank may increase the interest on the loan. Marie Nelson is an accomplished financial writer who gives advice on personal finance, personal loans, credit and debt, forex, and binary options on various financial websites.